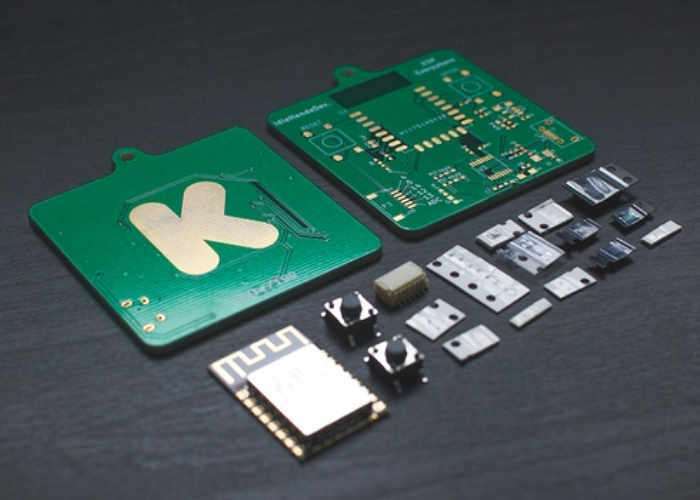 Sean Hodgins has launched a new Kickstarter campaign this week to promote a Kickstarter special ESP8266 and FTDI Board that is small enough to keep on your keychain. This is a limited edition run and only 100 assembled boards will be made by Sean. Watch the video below to learn more about this Internet of Things mini PC which is now available to back via the Kickstarter crowdfunding site with shipping expected to take place during March 2017. Well, the “ESP Everywhere” is an ESP8266 connected to an FTDI mounted on a special “Kickstarter Edition” PCB. Its small form factor allows you to keep it on a keychain and so you can bring your ESP8266 everywhere; hence the name. It has a small connector that allows you to access 5 GPIOS, and one ADC pin. The FTDI means you can plug it right into your computer, find the Serial Port, and start playing around right away! They ESP Everywhere can be programmed using the very simple Arduino IDE. I’m guessing if you’re reading this, you probably either already know a lot of this, or you really want to learn how to use it. The ESP Everywhere was custom built for the Make/100 challenge. You will be 1 of 100 awesome people who will be part of a fun project that will have an extremely limited run of only 100 pieces. Lets face it, there are lots of useful ESP8266 boards out there, Adafruit, Sparkfun etc. The thing that makes ESP Everywhere unique is that it’s not just an ESP8266 board, it is also a statement that you’re part of the maker community. I think the Make/100 project is a very cool way for Kickstarter to support and promote the maker community, which is why I was so excited to design a project to take part in it. I like the idea of influencing people into becoming makers. We need more Makers. More Doers. Thinkers. Creators. You name it! I think this is a great step in the right direction. • ESP Everywhere Board Assembled! • To know you’re supporting the Make community.